26% of Kiwis say they regularly buy items other than fuel at the service station. Of those, 30% say they buy grocery items at the servo. 25% say they buy gum. 26% said they buy ice cream. Mmm, ice cream. We take a look at which service stations have the best deals for buying your groceries and fuel at the same time. We were particularly impressed by the PAK’nSAVE fuel discounts. First, you go inside to buy your groceries. You get a fuel voucher attached to your receipt, which you take to the pump. Fill up your car with fuel, enter the code printed on the voucher, and pay. 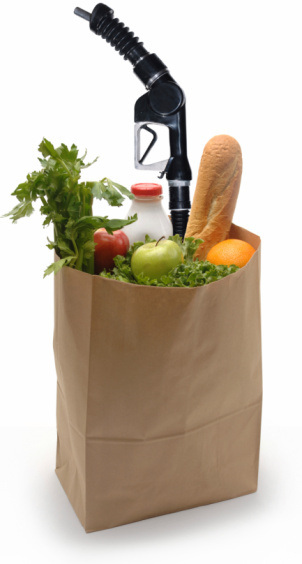 The more you spent on groceries, the less you pay on fuel. So easy! You can also buy your groceries at other PAK’nSAVE stores and then get your fuel later with the discount voucher at a Mobil. The PAK’nSAVE policy is to provide New Zealand’s lowest overall food prices, and they do this by using a food warehouse format and a self-serve system. You can check out their huge range of grocery products and specials online. Challenge has all the usuals – food, convenience store items, and hot drinks. But better yet, they have specials just like your supermarket does! Check out your local branch and find out what your Challenge team have on offer. They also accept supermarket dockets from any supermarket and any competitor, for up to 6 cents per litre off fuel. At Z, you can collect FlyBuys points by buying your groceries – or a freshly-baked gourmet pie and a cuppa. They also have nifty touch screens where you can check your route if you don’t have your own GPS. Z has over 200 servos in New Zealand. BP 2go is the franchise version of BP Connect, and because it’s run by independents, you get a wide range of convenience foods, groceries, and Robert Harris coffee. BP 2go started up in 2001 and now has over 100 stores throughout NZ. Mobil actually has a pretty nice deal on their own, where if you spend a certain amount in-store you get 4 cents per litre off your fuel automatically. 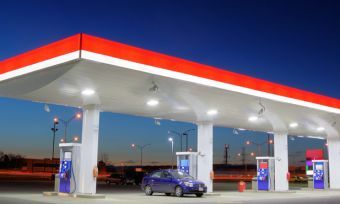 They also have the return and earn program, which gives you an extra discount on fuel when you shop for your groceries in participating Mobil or Exxon stores.